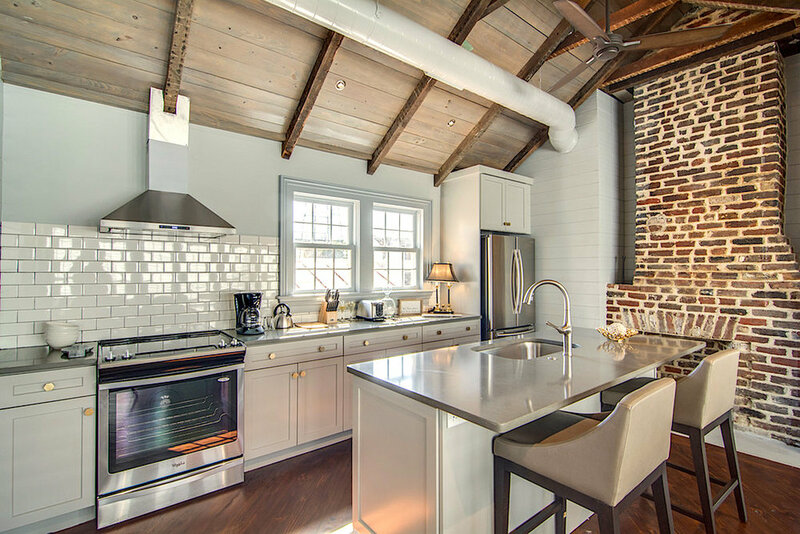 15 Cannon Compound has just undergone a complete renovation and redecoration. The compound consists of four individual apartments, each with a living room and a full kitchen, providing ample space and plenty of privacy for a large party. 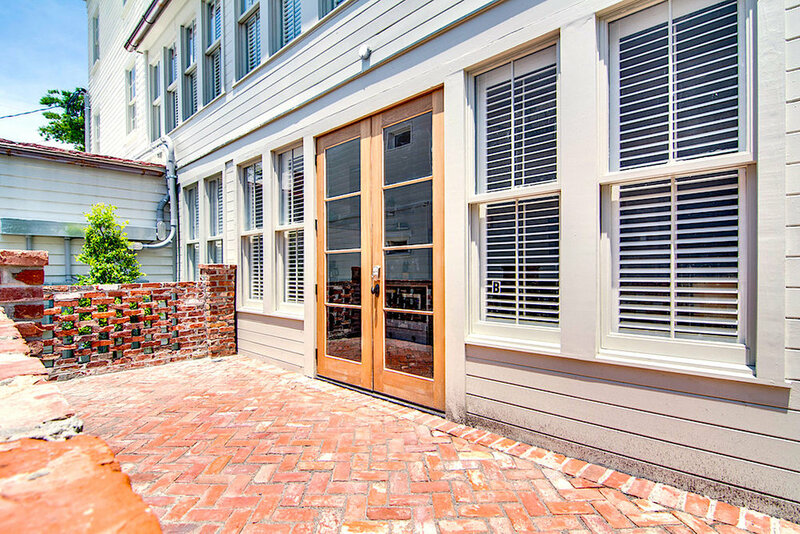 This 7 bedroom, 7 bathroom compound also includes off-street parking for up to 6 cars! This luxury compound is one large house comprised of four separate apartments. 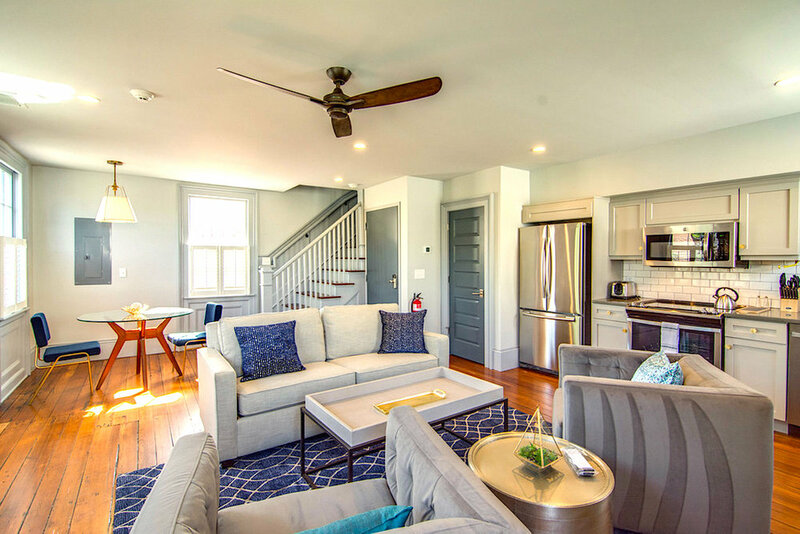 Just steps from King Street, this house is perfect for a large group looking to experience everything downtown Charleston has to offer. 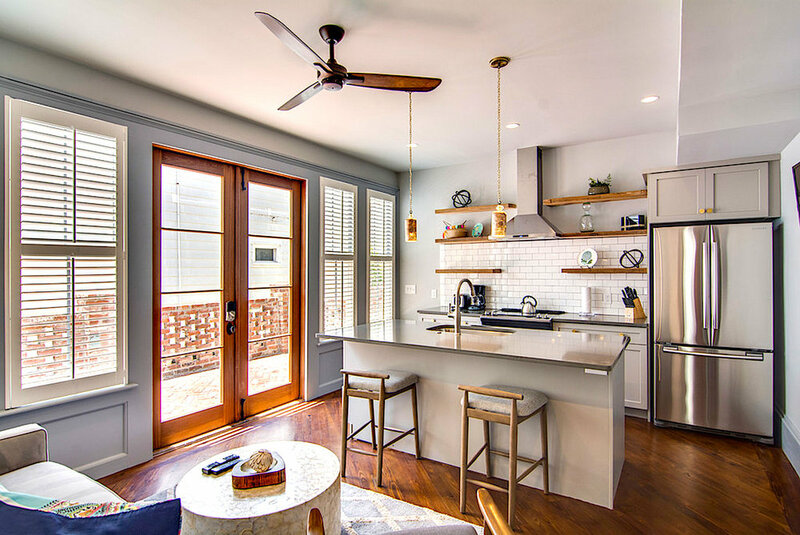 Each apartment is beautifully decorated with hardwood floors, exposed brick, stainless steel kitchen appliances, and plenty of natural sunlight throughout. Units A, B, an D are also available as their own 6 bedroom compound, based on availability. Charleston is a very walk-able city, but Uber and Lyft are very prevalent. Walk Away Stays uses a key-less entry system to make the check-in process easy and hassle free. Guests are welcome to check-in anytime after 3 PM. 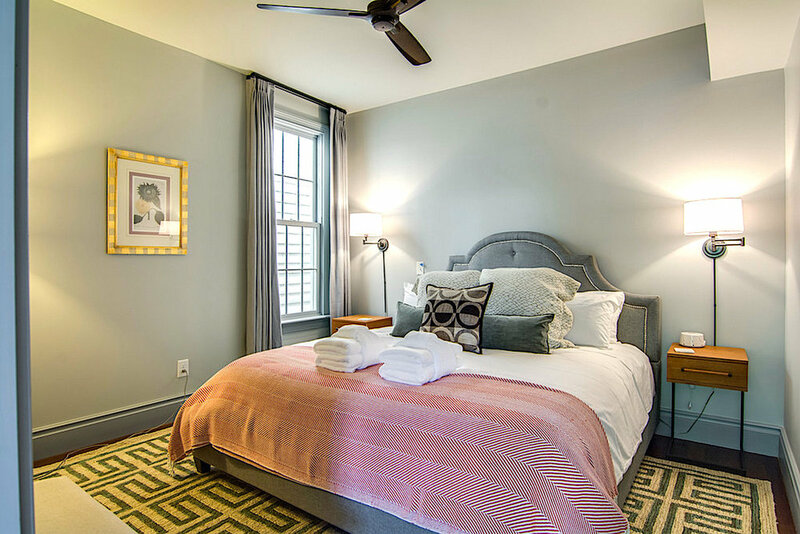 Each suite is professionally decorated and designed with luxury bedding, spacious living areas, and full kitchens with top of the line appliances and luxury finishes. 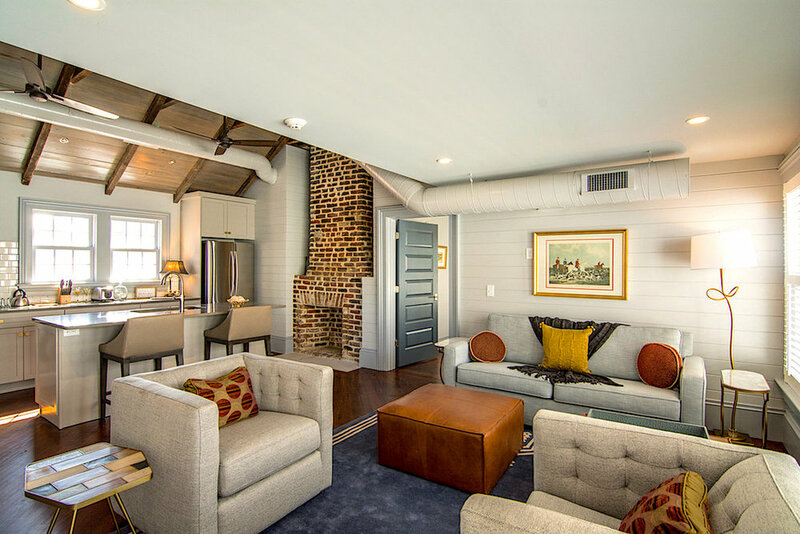 Guests will feel the warmth of southern hospitality met with modern extravagance as soon as they check in! To learn more about pricing for group bookings, please call our office at 843-808-4444 or email us at info@walkawaystays.com. Inquire About 15 Cannon Luxury Apartments Here!